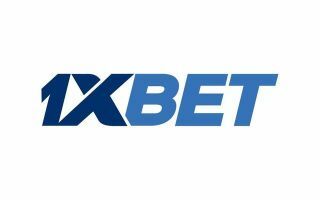 1xBet is one of the most successful and trusted online betting company in the world. Found in various countries, it offers you a wide array of sports and non-sports gambling options. Boasting of a membership database of up to 400,000 online users, it is no doubt that it is one of the most liked betting company in the world. Recently, they have developed a mobile application to facilitate betting on the go. Users can access their favorite games through the app without much hassle. Mobile betting seems effortless on the app in relation to the 1xbet mobile app reviews on the Efirbet website. The app is available on the Android, iOS and the Windows platforms. It is a powerful and interactive app that enables android users to access betting wherever they are without having to use the PC. The application is easy to download from the Google play store and is compatible with any android device and TV boxes. It mimics all features found on the mobile website such as online streaming and a wide selection of games to play. You can use it on both the portrait and landscape orientation; whichever is okay with you. It also comes with the full-screen functionality which facilitates easy and fast placing of bets. In addition to the common games, the 1xbet app lets you play numerous games such as 1xbet mobile TV. You can also place bets on games such as Baccarat, Poker, and Crap. 1xbet has also developed an app for the iOS users. Although it is different from the android version, it is still easy to navigate and use. Its interface facilitates seamless placing of bets on the go. The interface has two portions. One shows upcoming games while the other shows the ongoing events. The application offers you a wide array of sporting events to choose from such as softball, sailing, e-sports, etc. You can also play your favorite casino games on this app. This application can be accessed through windows powered devices such as a desktop or a smartphone. It is different from its iOS and android counterparts. Unlike the iOS and the android versions, the app is free to download without making payments. It offers live streaming, in-play, and pre-match betting. It also provides access to favorite sports such as football, basketball, etc. it lets you place single or accumulated bets at the same time. A crucial and unique feature of the windows app is the Toto bets. This feature allows you to place bets on toto football, toto correct score and toto 15. It is compatible with Android 4.4 or higher. It also requires fast internet connectivity and a screen resolution of up to 320×480. Accessible through iPhone 5 and newer versions. The minimum deposit amount is €1. From the above discussion, we can see why the 1xbet app is one of the best betting apps. It offers a wide range of games to choose from as well as casino games. It also presents new sign-ups with amazing bonuses. The application also facilitates live streaming and live betting which makes betting on the go convenient.